My comments about Cactus Jack, in yesterday’s daily, elicited a great number of responses from my readers. Every one was positive – except a long-winded reply from old Cactus Jack himself. But I would expect no less from Cactus. He is as set in his ways and views as I am in mine. I mean no disrespect to Cactus Jack; he is “the other voice” to the way I see the world and his views are more widely accepted than mine. Much more! Jack is like most of your friends and relatives who cannot allow themselves to see the decline in America and who cannot accept that Wall Street’s best and brightest and our politicians have no viable solution for the problems that they have rained down on us all. This is going to be an interesting year and I believe the debate between Cactus Jack and yours truly will be settled by Christmas. I ask myself the question, “Why do I, who am as bullish as anyone on gold, constantly pick such a low target for the price of gold?” Lately, I have tried to plan for the future by picking a minimum number for how high gold can go. I usually settle on the low $2,000s as a target for 2012. I use the $3,000 range going out a bit further in time. Am I being realistic or am I being way too cautious? Then I fall back on my security blanket and ask myself, “What do Jim Sinclair and Richard Russell think about gold?” Combined, they have over 80 years of experience in this market and their track records are to be admired. Lately, Sinclair has been throwing around numbers that range from $5,000 to over $12,000 an ounce. Russell, to the best of my knowledge, has never given a ‘hard number,” but he does say he expects gold and the Dow to trade one-to-one or two-to-one. Even if the Dow crashed, down to the 6000 range, that would predict a gold price of anywhere from $3,000 to $6,000 an ounce, and if the Dow continues to hold its ground, or move higher, his number would be $6,000 or much higher. So why do I come up with these low expectations? Well, that’s because if I error, I would rather it be on the low end, and not disappoint myself by counting on a higher number, one that never materializes. My experience in the precious metals industry has been a pleasant one indeed since 2001. I have seen major gains in many of the mining stocks I own. I have been accumulating physical gold from $275 up and silver from $3.50 up. I have watched my portfolio grow by hundreds of percent, so why am I so cautious in my views now? It’s because the “CARTEL” has done such a good job in dulling our expectations and yes, it even affects ME. I know better intellectually, but emotionally it is hard to ignore the constant hammering down of the price of gold and silver. Every time they get some traction they are pulled down, hard. Gains that take weeks or months vanish in a matter of days. 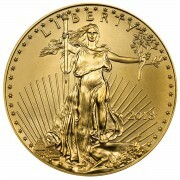 Worse yet, there are always “respected analysts” that are eager to tell us that gold and silver will continue to fall. Ned Schmidt and even Larry Edelson, whom I admire, are quick to point out that, in the short-term, the metals could take a big hit. How can gold and silver fall so hard when the issues that favor a bull market, like uncertainty, negative real interest rates and massive currency debasement still abound? My answer is: “Get used to it!” As long as the bullion banks and a few reckless hedge funds are left free to run amuck on the Comex, shorting our physical metals (and our mining shares) it will continue. Oversight? Regulation? They are nowhere to be found. One could get very discouraged over this kind of blatant manipulation except for the fact that IN SPITE of this manipulation, the TREND keeps RISING. I hope you have been reading Ranting Andy’s comments in my daily. He sheds light on the manipulation and who is behind it. I am in complete agreement with his conclusions! He is a great disciple of LeMetropole’s Bill Murphy. It is imperative that you understand that the Comex is NOT the real market; it is the physical market that counts in the long run. 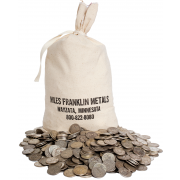 Savvy investors, central banks and industrial users all want real metal, not paper profits. As long as the demand for physical gold and silver is greater than the availability of the metals, the bull market will thrive – yes thrive, in spite of all of the manipulations. And so it has, for over a decade now. The only way to sleep peacefully at night, with a large portfolio of gold and silver, is to ignore the noise; the short-term movements caused by reckless hedge funds and greedy bullion banks like JPMorgan. Let them pick each others pockets but have the insight and courage to trade in your fiat dollars for real wealth, gold and silver. 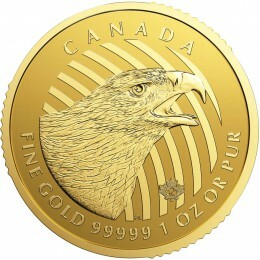 Each takedown is another opportunity for you to buy gold and silver at an artificially low, subsidized price. Are you prepared to take advantage of another opportunity to protect your wealth at a discount? You have one here, now. I honestly believe gold and silver have at least one more double in the bag, and more likely, two or even three more doubles. Do not be discouraged; do not let the bullion banks scare you into selling. Do not sit on the sidelines when prices fall. That is your signal to buy. That is what puts them out of business – increased physical demand. Join the smart money from India, China, Russia and the Middle East and purchase every time the price falls. Now is such a time. 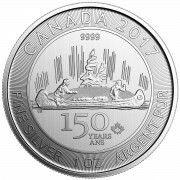 It won’t be long before the only question an investor in real gold and silver will have to deal with is NOT how much does it cost, but CAN I GET ANY AT ANY PRICE? Price will not be an issue, delivery will be the issue. In this game of musical chairs (of your wealth), the music stops when the mints can no longer meet demand. That day is coming. She is a former managing director at Goldman Sachs, now a senior fellow at Demos, who has written on corruption in Washington and on Wall Street. She has published three outstanding books, Other People’s Money, Jacked and her latest effort, which I am currently reading titled It Takes A Pillage. If you really want to get outraged, then by all means pick up a copy of this instant classic. Any respect you have left toward our politicians, bankers and regulators is sure to go up in smoke after you read just a few pages of this book. 235 years ago in Paris, they used the Guillotine on scumbags like these. How much do you think we really spent for the federal government’s bailout of the banks (including all federal loans, capital injections, and government loan guarantees)? Do you think the number is $700 billion – TARP? Try again. The real number comes in at an unfathomable $13.3 trillion! $7.6 trillion from the Fed, $2.5 trillion from the Treasury (not including interest payments), $1.5 trillion from the FDIC, a $1.4 trillion joint effort and a $300 billion housing bill. To put this number into proper perspective, $13.3 trillion is more money than the combined costs of every major US war including the American Revolution, the War of 1812, The Civil War, the Spanish-American War, World War I, World War II, Korea, Vietnam, Iraq and Afghanistan, whose total price tag adjusted for inflation, is $7.2 trillion. The result of the global crash caused by the greedy Wall Street banks was that global wealth was reduced by $50 trillion between September 2007 and March 2009, including $7 trillion in the US stock market and an additional $6 trillion in the US housing market. Another $7.5 trillion was trashed in pension plans and household portfolios. The number of unemployed Americans rose to 14.7 million as the “stated” unemployment rate rose to 9.5%. And all the while, the banks were being bailed out and did not have to pay the piper for their reckless and greedy practices. Truth be told, the bailouts, as huge as they were, are not working. I urge you to read Nomi’s book and then you will understand why the on-going manipulation in the gold and silver markets (all markets for that matter) is the way they do business. All they care about at Goldman Sachs and JPMorgan, and friends, is to improve their profits at YOUR expense. Profit and Power! That is all they care about, and certainly not one iota about you or me. I got a harsh-if not intriguing-wake up call from former Republican David Stockman this morning. The man doesn’t hold back, even pre-caffeine. We’re doomed on both sides of the pond, he told me on the set of “Worldwide Exchange,” and he didn’t hold back in name-calling the “lunatics” responsible for our global fiscal mess-especially the EU and the IMF. Gloomy. And as the adage goes-for Stockman anyway-history repeats itself, a fact that we can’t afford to overlook. “I don’t think that’s viable. I don’t think anyone with a real political sense of history thinks that can go on year after year,” he said.